Living in this house, Mary Baker Eddy’s prospects brightened, if only in limited ways. She reconnected with her son and her health improved somewhat. She also began to write down her thoughts on the spiritual meaning of the Bible. After five difficult years living in North Groton, Mrs. Eddy and her second husband, Daniel Patterson, moved to Rumney in 1860. Patterson became the town dentist, and their finances improved. While living here, Mrs. Eddy, with a burst of joy, received a letter from her son George. He had not been lost in the wilderness, but was alive and well — an under-age volunteer in the Union army. By that time, 1861, the Civil War was raging. It struck close to home when Daniel Patterson carried out a commission in 1862 to deliver funds to Union sympathizers in the South. En route he was captured and imprisoned by Confederates. Mary was untiring in her efforts to secure his release. In the end, he escaped and returned to her. Persisting in her search for health, Mrs. Eddy set out from Rumney for Dr. Vail’s Hydropathic Institute at Hill, New Hampshire, and, later, to visit the professed magnetic healer Phineas Quimby of Portland, Maine. Quimby’s treatments relieved her suffering only temporarily, but these and other experiences encouraged her efforts to “trace all physical effects to a mental cause” (Mary Baker Eddy, Retrospection and Introspection, 24). After less than two years here, the couple had to move on. Eventually they settled in Massachusetts, where Patterson re-established himself in the practice of dentistry. Sometime before the Pattersons moved here in 1860, this onetime saltbox structure had been enlarged to a five-room cape-style cottage. The shed and barn were later additions. The home was purchased in 1920 by Mrs. Longyear. Between 2005 and 2008 the exterior and interior of the house were restored according to updated historical research. It now looks much as it did when the Pattersons lived here. The interior is furnished in keeping with a modest rural house in the mid-nineteenth century, including a few pieces that belonged to Mrs. Eddy. 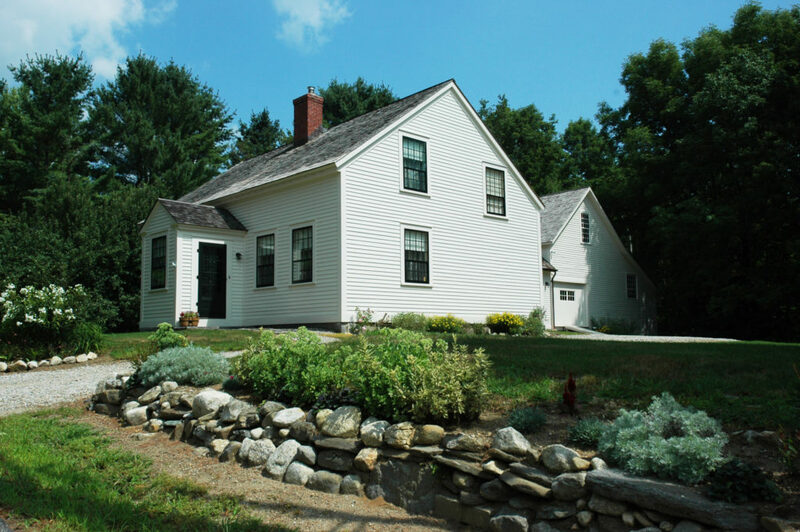 Tour is paired with the Mary Baker Eddy Historic House in North Groton, New Hampshire. Meet at the house in Rumney, New Hampshire.